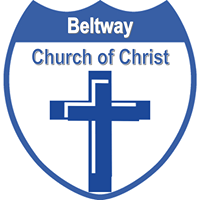 Mission - The Evangelism Ministry of the Beltway Church of Christ is composed of Christian men and women, young and old that labor to spread the gospel of Jesus Christ in the communities where we live, work, worship, and socialize. Our mission to spread the gospel was established by Christ during the first century as defined by the Great Commission [Matt 28:18-20]. Our strategy for carrying out the Great Commission today is a four phase process – House To House/Heart To Heart Correspondence, Direct Mail Advertising, Personal Community Canvassing, and Social Media. Our goal in carrying out the Great Commission is to invite the community to share in our calendar of events, to inform the community of the various ministries designed to meet their spiritual and physical needs, and to foster Biblical relations through Christian doctrine and principles. Advertising and promoting church activities in the community and through all available media. Ensure Christian tracks are available in the foyer for visitors.